The Green Bay Packers Upper South End Zone is a new seating area placed high on the 700 level above the south end zone at Lambeau Field. The Lambeau Field seating chart shows the Upper South End Zone just below the Champions Club above all other seating areas in the stadium. Green Bay Packers Upper South End Zone includes every section on the 700 level. 700 level seats are only found above the south end zone and below the Champions Club which overlooks the field. 19 sections make up the Upper South End Zone: section 730, section 732, section 734, section 735, section 736, section 737, section 738, section 739, section 740, section 741, section 742, section 743, section 744, section 745, section 746, section 747, section 748, section 749, and section 750. 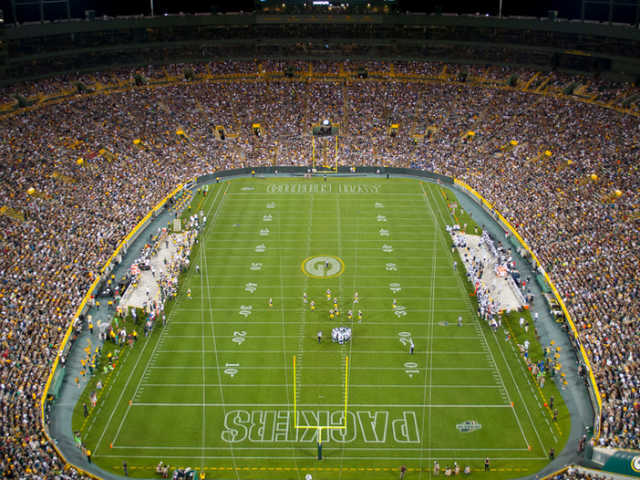 With poor views from every seat in the Upper South End Zone, fans should consider the area as a cheap way into Lambeau Field rather than a great place to watch the Packers game. The height and distance from the surface make it difficult to follow the action and, unlike the more expensive club seats one level up, the Upper South End Zone is fully exposed to the elements. Packers Upper South End Zone tickets are sold as ten game packages of full season tickets by the team sales office before each season. Individual game tickets scattered as single seats throughout the area are sometimes available, but most buyers should resort to outside sources to find a secure supply of tickets. Ticket brokers will sell Upper South End Zone tickets for slightly above face value for less popular games and even less than face value for most preseason contests.